The Doctors Revisited - WILLIAM HARTNELL | Warped Factor - Words in the Key of Geek. 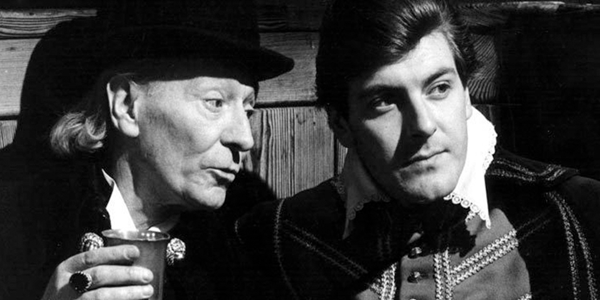 On the 51st Anniversary of the day we first met the Doctor, Andrew Jero looks back at the William Hartnell years. In the seventh in my series of articles where I will be taking you through each era of Doctor Who, I will be going back to where it all began - the First Doctor, the original you might say. I will take a look at two examples of the best stories, two middle of the road stories and two of the worst stories from the Hartnell era. Starting with Hartnell's swan song, and my 3rd favorite story in the history of Doctor Who, The Tenth Planet. The Tenth Planet was the first story to feature my favorite villains in the show, the Cybermen, and I think it is without a doubt the best Cybermen story Doctor Who has ever presented (with Earthshock coming in at number 2). 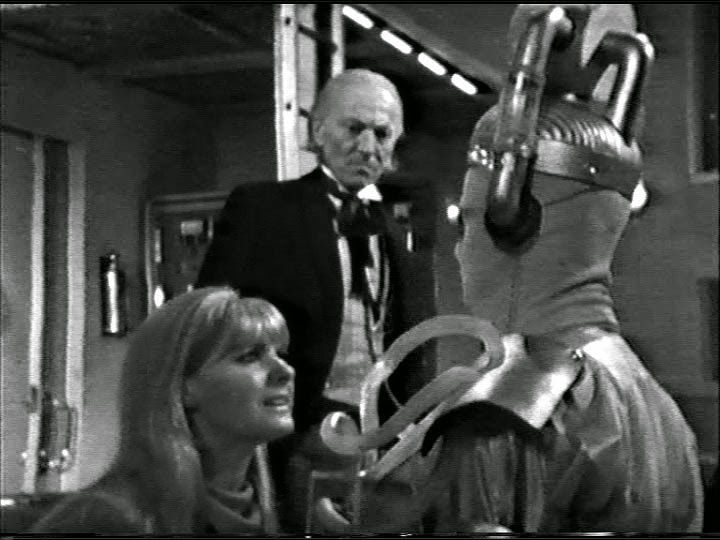 It's not just the script, which is excellent, but the portrayal of the Cybermen themselves. In this almost human version they are the scariest, with the mouths and exposed hands bringing them to life. Of course The Tenth Planet is the missing fourth episode, which had William Hartnell not been sick for part three of the story we might not feel the loss of that crucial one so much, as at least we have the surviving regeneration sequence. The DVD of the story is well worth picking up, the animated work on part four is incredibly well done and helps to bring the story to life. And really, although An Unearthly Child kicked the series off, The Tenth Planet is arguably a more story as it is the one that cemented the long term success of the show. The historical episodes where such an important aspect of the Hartnell era, my favorite of which is without a doubt The Massacre of St. Bartholomew’s Eve. The fact that all four episodes are missing with not even any clips surviving isn’t a problem, because the story holds up so well in both the BBC audio and print forms. There are so many reasons why I picked this as one of the best; There's the argument between the Doctor and Steven at the end of part four, all the characters in the story are superbly played, the beautiful dialogue, Hartnell’s twin performances as the Abbot of Amboise and the Doctor are performed seamlessly, with none of the Doctor seeping into his performance as the Abbot and vice versa. By the middle of the story it almost begins to feel like the Steven Taylor show, and you know what? It works! So well! If there was ever a companion that could’ve carried the show on their own it was Steven, having come from the future anyway he knows the most about space travel and would be able to pilot the TARDIS, as he actually does in a few stories. The Massacre of St. Bartholomew's Eve never loses its pace and keeps the audience guessing the entire time - did the Abbot just die or was it the Doctor? It's one of the darkest stories ever presented in Doctor Who, and it's constantly interesting on repeated listening/reading due to that feeling. Moving on to The Space Museum. This is a very intriguing story that kind of drops off during the fourth episode. It begins very strongly with the first episode being one of the most interesting across the whole era, so it’s a real shame that the rest of the story didn’t quite hold up to that standard. The concept of the main characters trying different ways to avoid the same outcome, but always falling into the same trap despite their efforts is extremely interesting. Just lacking something in the execution. The Keys of Marinus has a very epic feel to it, it's unlike that of The Daleks or The Dalek’s Masterplan, closer in feel to The Chase (of the Daleks - as I like to call it). 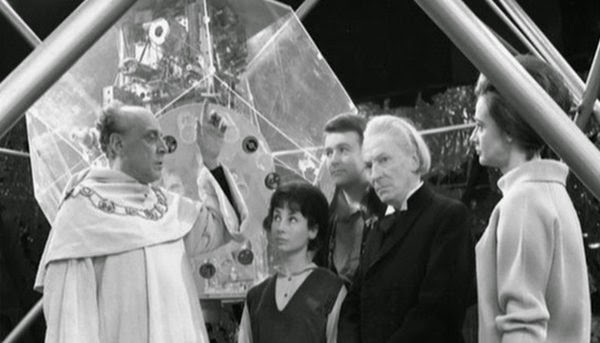 This time the crew are on a quest to find the six keys of Marinus, on their way to each spot on the planet they are separated and forced to adapt to their surroundings, that is until Ian is charged with murder in part five after trying to obtain the final key. The Doctor defends him in court and wins, and they head back to the designated spot on the planet where they find the Voord have taken over. 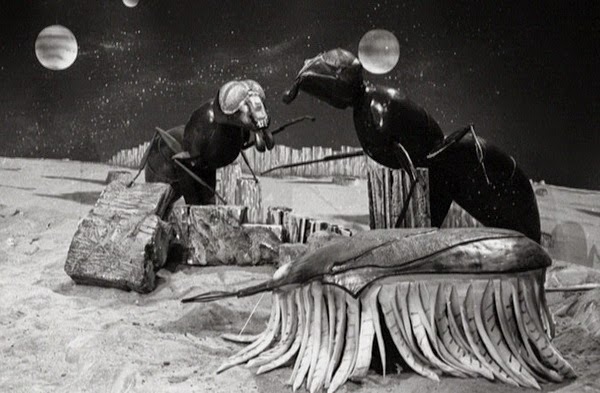 The Voord themselves are well designed and provide a nice villain to the story, and while it may not be the most interesting from the Hartnell era, The Keys of Marinus does keep the audiences’ interest due to the frequent changes in location. 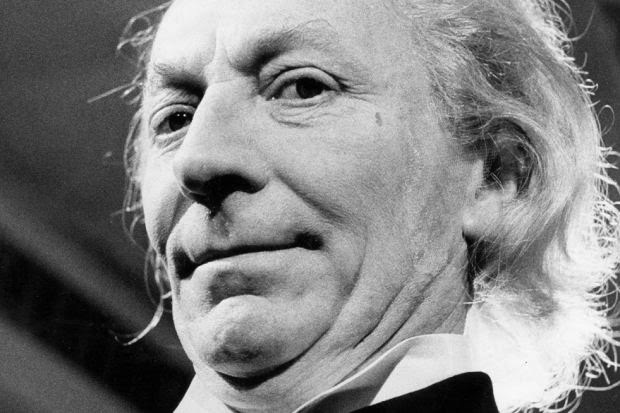 Now, I'm a huge fan of the First Doctor, but like most of the eras of the show there are some stories which are just bad. So let's take a look two of the worst stories ever in the history of Doctor Who, The Web Planet and The Edge of Destruction. I’ll start with the filler story from season one, The Edge of Destruction. It is without a doubt one of the dumbest pieces of television ever broadcast. It's fortunate that The Daleks were so very popular otherwise Doctor Who may have lost an awful lot of viewers thanks to these two episodes. The basic premise sees the main cast go insane and accuse each other of attempted murder. This kind of atmospheric story, with lots of tension between the new crew-members could’ve been pretty good had the story contained a solid conclusion. But in this case it's just down to a switch and a faulty spring! Really? A broken switch? Also the acting here is not the best, in fact it's possibly the worst from the entire Hartnell era, combined with the lack of a proper story, The Edge of Destruction is definitely a 0 out of 10. The Web Planet is perhaps the most ambitious and imaginative story ever, but unfortunately by the end of the first episode it has already started to contradict the information we’ve been given. We are told - You can’t go outside without these suits, fine. That works. But wait! Barbara goes outside without a suit, and the cliffhanger isn’t that she shouldn’t be able to breathe, but that she’s going to walk into a pool of acid. It is at that point that I don’t care that we haven’t seen the populous of Vortis yet, the story is falling apart already with a lack of credibility. Add that to the costumes for the Zarbi and the rest of the planet’s populous and you have, what is in my opinion, the worst story of the classic series, and the second worst in the entire show’s history. 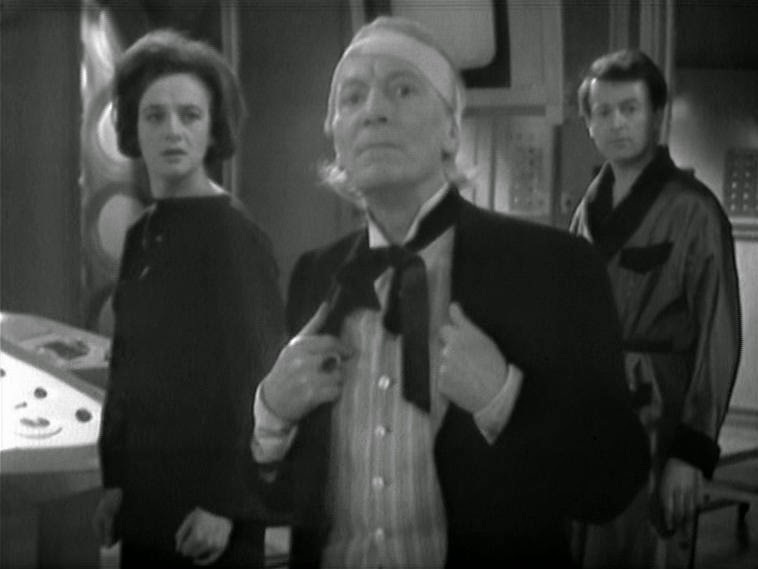 Overall the William Hartnell era is a huge success, with some of the most experimental stories in the history of the show, which I have to give a little leeway to due to the fact that they were still figuring out the format for the series. 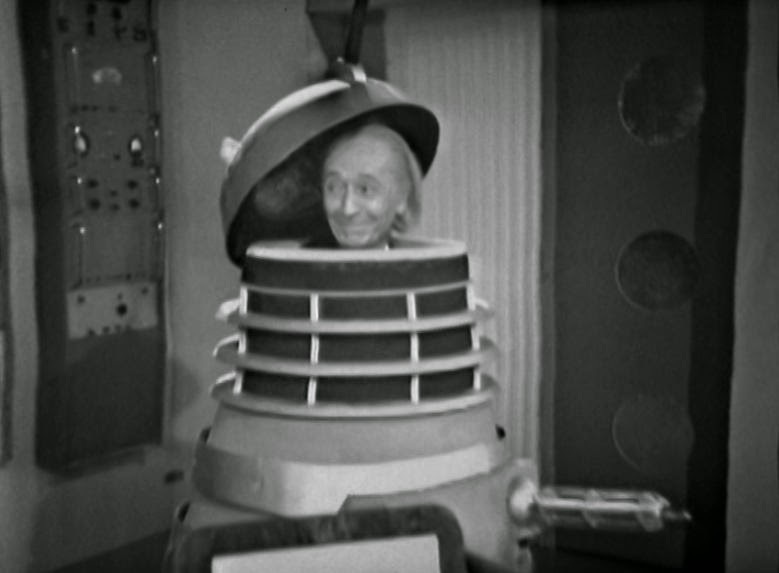 Most of the First Doctor's adventures were fantastic, maybe only three or four duds in the entire era. So it should be no surprise that out of the twelve spots, the Hartnell era of Doctor Who sits firmly at number six.